If you’ve experienced it before, you know you don’t want to experience it again! A UTI (urinary tract infection) often comes on suddenly and brings with it a set of miserable symptoms: a burning sensation during urination, lower back and abdominal pain, and frequent urination that yields small amounts. When bacteria in the urinary tract take up residence, an infection is often right around the corner. One woman in five will develop a UTI in her lifetime and nearly 20% of those will become chronic sufferers. UTIs occur in men, although less frequently than in women. If you suffer from UTIs, you know the anguish they produce. These infections disrupt life and cost in visits to the doctor and pharmacy. Traditional medicine uses antibiotics to treat these urinary tract infections. While they are generally effective, there are concerns with the use of them. Antibiotics can have side effects (yeast overgrowth, upset digestive tract, and allergic reactions) and can also promote a resistance to bacteria if used frequently. Chronic UTI sufferers are often put on low doses of antibiotics for prevention, but this course of treatment puts a person’s system at risk for the side effects listed above. Eventually, the bacteria will become resistant to the antibiotic and a new drug will be needed. UTIs are most commonly caused by E. coli. Although E. coli is a needed bacteria that resides in our large intestines and serves as an aid in digestion, when E. coli bacteria enter the urinary tract, they attach themselves to the lining of the bladder. After taking up residence in the bladder, they multiply, colonize, and develop into an infection. If left untreated the bacteria travel to the kidneys and result in more infection. A healthy immune system can often fight off the bacteria before an infection occurs. You can strengthen your body by getting proper rest, drinking plenty of water, boosting your intake of Vitamin C (creating an acidic environment that discourages the growth of bacteria), and consuming low amounts of processed foods and sugar. But sometimes our immune systems are compromised or the strength and speed at which the E. coli builds is no match for our natural defenses. When a UTI is present, cranberries offer an aggressive and successful option for treatment. Cranberries contain a powerful and effective substance that prevents E. coli from adhering to the urinary tract lining and the lining of the bladder. Often, however, a person will self-medicate through the use of cranberry juice cocktail. This route is generally unsuccessful because cranberry juice cocktail contains approximately 27% of actual cranberry juice. The remaining part is sweetened water. Drinking large amounts of cranberry juice cocktail contains too many calories, too much sugar and proves to be counterproductive. In addition, straight cranberry juice (with no sweeteners) is almost unpalatable because of the tartness. Most patients simply can’t get it down! Recent research has isolated the bacteria-fighting compound in cranberries and found a way to put it in capsule form. In a dehydrated and capsule form, a dose is equivalent to 12 to 16 6-ounces glasses of cranberry juice. And it’s much easier to get past the taste buds! Another remarkable ingredient used to treat UTIs is Uva Ursi-also known as bearberry. The leaves from this small shrub contain properties that act as an antimicrobial astringent, and disinfectant. As an astringent, Uva Ursi tightens membranes in the urinary tract and relieves pressure and irritation from inflammation. This brings relief from pain and discomfort to the UTI sufferer. A caution for you pregnant or nursing women, while cranberry is perfectly safe to take throughout pregnancy and nursing the Uva Ursi is a diuretic herb. While some sources recommend avoiding the supplement during this time, we personally believe that as long as you are actively staying hydrated it should not be a concern, but as always this is something that should be personally research and check with your health care provider first. 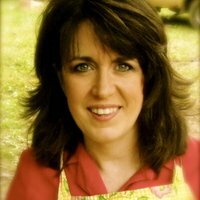 Additionally, grape seed extracts brings a powerful force to the scene of the infection. Grape seed is an antioxidant so it promotes healing. It also alleviates inflammation and is an excellent component to add to the treatment of UTIs. The Cranberry Power Cleanse is an impressive combination of natural ingredients that work together to eradicate the E. coli bacteria in the urinary system. 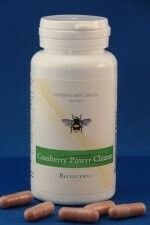 Beeyoutiful’s Cranberry Power Cleanse is indeed a powerhouse against the bacteria that cause urinary tract infections. If you or others in your family have had a UTI or suffer chronically, you ought to consider stocking your medicinal shelves with Beeyoutiful’s Cranberry Power Cleanse.